Over a decade ago, I would have never dreamed I’d become a Meditation Coach. I had no idea that you could actually make a living teaching meditation. Back then I taught yoga. But with time, I began to notice the popularity of meditation steadily increasing. That’s when I started to receive inquiries about teaching meditation. In the beginning I assumed that you had to be deeply experienced to share meditation. I was still in the first five years of training and learning how to practice for myself. But since I was asked to teach, I decided to give it a chance. I was nervous and lacked confidence, so I started teaching very basic skills that I learned through Zen meditation, such as counting and watching the breath. Little did I expect that sharing my own simple practice would yield such positive benefits for others. After class, I received heartfelt hugs and thank you’s, even a few shared tears. Students often told me the healing and insight they received when they practiced meditation at home. It wasn’t long before teaching became a natural, unexpected passion. Oftentimes, both during and after teaching, I felt a very deep sense of peace and well-being. It allowed me to live with more ease and grace, and I experienced profound synchronicity. There were so many other natural benefits, such as feeling a continuous sense of well-being, that I felt strongly called to continue teaching meditation. If you’re interested in sharing calm with others, I encourage you to watch this short video outlining the top 6 benefits of becoming a Meditation Coach. If you’d like to learn more about how to become a certified Meditation Coach, visit our LIBERATE program that begins this September! Top 6 benefits of becoming a Meditation Coach. Be part of a rapidly growing industry – Due to rising stress, anxiety and depression, more and more people are seeking meditation. IBISWorld reported that meditation is a 1 billion dollar industry and continues to grow at 11% year over year. You can work from anywhere – Having your own business as a Meditation Coach means that you can work from any location. 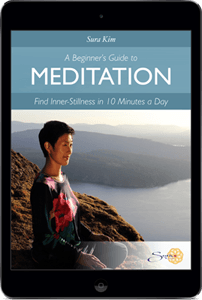 It’s easy to share meditation online in various formats that include workshops, webinars, retreats and classes. It helps facilitate any session or meeting — Starting any class or session with meditation increases flow, connection and communication. It promotes trust, vulnerability and deep listening. It also encourages problem solving, productivity and creativity. You create lifelong value for your clients – You teach people how to resource themselves, an invaluable gift they can take with them anywhere for the rest of their lives. It also creates a sense of true meaning and purpose in your own life. It deepens your own personal practice – When you share meditation with others, it naturally helps you develop and refine your own practice. When you teach, you learn. Creates more flow and synchronicity in your everyday life – the more you share meditation, the more you’ll notice meaningful connections that can guide you on your own life path and lead you towards your personal destiny. If you enjoyed this article, please feel free to reach out to us to learn more about our Certified Coach training. Simply respond to this email and I’ll be happy to set up a time to speak with you. Thank you for your interest in creating more peace in the world.